The dentist office can be an intimidating place for kids if they have never been to the dentist before or are scared of what their dentist may tell them. The thing is, the dentist office doesn’t need to be a scary place. Actually, the dentist office is where you go to brighten your smile and maintain oral health — it’s just hard to convince kids of that sometimes. 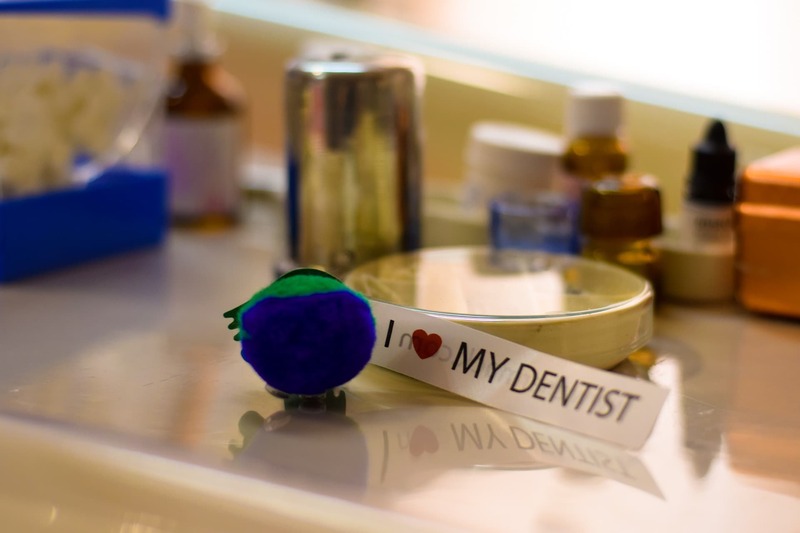 At Dentistry on 7th we offer dental services for your entire family. At our office, we have created a kid-friendly atmosphere that will give your child added incentive to visit. Our Hamilton dental office is happy to help your child achieve optimal oral health. From laughing gas to TV’s on the ceilings, we have everything necessary to make your child comfortable when they come in for a consultation, check-up, cleaning or procedure. We use the latest dental technology to provide a wide array of services for children that include cleanings, sealants, fluoride treatments and diagnostic exams. Our SDF (silver diamine fluoride) is a quick and painless treatment that will help stop the progress of any cavities your child may already be dealing with. You can even make an appointment for yourself when you bring your child in! We offer veneers, implants, orthodontia and more for adults. If you’re searching for a pediatric dentist in Hamilton for both you and your child, make sure to get in touch! We want your child to be comfortable at the dentist and hope for them to be as excited to see us as we are to help them. The younger your child is when you take them for their first dentist visit, the faster they will become familiar with the process, their dentist, and what to expect. This will also help create a dental routine for your child to get used to so that they can prepare themselves ahead of time for periodic check-ups and cleanings. According to Parents.com, it’s best to start bringing your kid to the dentist at age one, or when they grow their first tooth. Kids love to play pretend, so why not try to act out what the experience at a dentist will be like? If your child has already visited a dental office and is still apprehensive about returning, go over their last visit to identify what made them nervous the first time around. You can then act out how you anticipate their next visit will go and answer any questions your kid may have. If they are going in for a specific treatment or procedure, this method also works like a charm to ensure that no surprises are waiting for them when they show up for their appointment. The words “pain,” “hurt,” or “needle” will be a red flag for your child if you use them in affiliation with the dentist. Use positive, excitable terminology instead. If your child isn’t brushing, flossing or looking after their teeth, they are likely nervous to hear what their dentist will have to say. 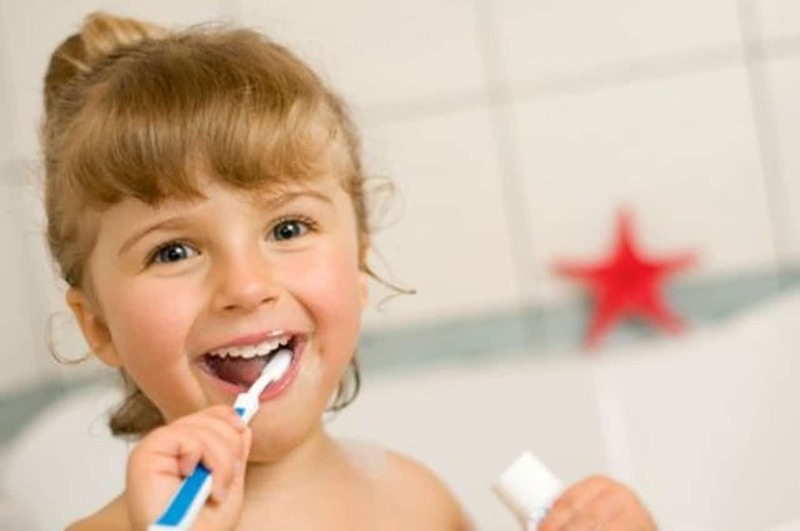 Help your child get used to good habits like regular brushing and flossing at least twice a day so that they are involved in their dental wellness and have more control over their oral health. If your child is having problems chewing or speaking due to dental issues but is too afraid to go to the dentist, explain to them how a dentist can help give them a healthy smile and help overcome their obstacles. If your child is afraid of finding out that they have a cavity, assure them that if they do, it can and will be managed. Explain that the dentist will provide them with the knowledge they need to prevent another pesky cavity from surfacing. 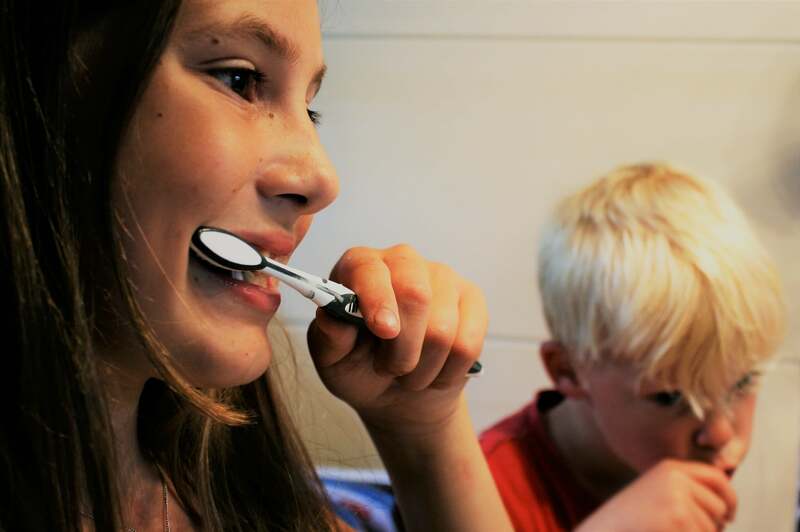 According to Colgate, 19 percent of adolescents between the ages of 2 and 19 have untreated dental cavities — don’t let your child be one of them. Sometimes your child just wants to hear from someone who isn’t you. Instead of rehashing the same conversation, have them talk to someone closer to their age to hear how they have benefitted from going to the dentist. Any family member or family friend will do really. Did their favourite cousin just get their braces off? Encourage them to have a chat. Waiting until the day before to inform your child that they have a dentist appointment coming up is only going to result in yelling, screaming, and anxiety. Instead, give your child some time beforehand. That way, they can ask you questions and mentally prepare for their visit. It can be hard to get your child excited about going to the dentist on their time off when they’d rather be doing anything else, but you may not be able to take them out of school for a weekday appointment. Try planning an entire day surrounding the appointment that could include a shopping date, movie night, brunch, or all of the above if you’re feeling ambitious! It’s in your best interest to get your child prepared for regular visits to the dentist, especially if you want to keep their education streamline. According to the Canadian Dental Association, a total of 2.26 million school-days get missed annually because of dental-related illness. At Dentistry on 7th we are committed to your child’s oral health, and to making sure their smile is as bright as they are. If you’re looking for a dentist in Hamilton, we are happy to provide you with our variety of services to make sure you and your child’s smiles are getting looked after. Don’t hesitate to get in touch; we’re happy to answer any of your questions and book a consultation to discuss your options – we want to help you identify which of our services is best suited to your needs. You can reach us at 905-963-3693 or at info@dentistryon7th.ca . We look forward to hearing from you!